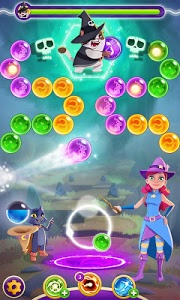 Bubble Witch 3 Saga – A magical bubble shooting puzzle game from the makers of Candy Crush Saga. 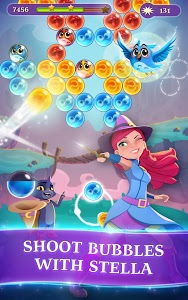 The newest game in the popular Bubble Witch series. 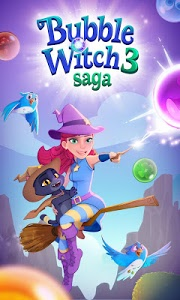 Stella the Witch is back and she needs your help to defeat Wilbur in this exciting puzzle blasting adventure! Wilbur may look cute, but he's full of magical mischief! 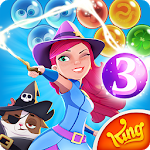 Travel the realm bursting as many bubbles as you can in this bubble shooting puzzle game. 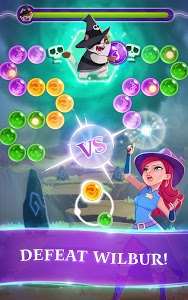 Help Stella, Nero and Violet restore piece to the realm by matching bubbles with the unique aiming line that allows you and Stella to blast and pop with magical precision! 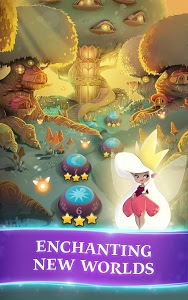 Solve the puzzles to reunite the ghosts, save the owls and rescue the important fairy queen in this explosive bubble shooting adventure. Cast spells and power ups with Nero and blast your way through those extra tough levels to keep up with the mischievous Wilbur! Blast! Stella needs to rebuild her home all thanks to the evil Wilbur. Take aim and pop your way through the levels to find the magic star dust Stella needs in order to rebuild, customize and style her new home! The only bubble shooter you will ever need! 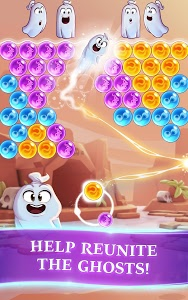 Take on this magical Saga alone or pop with friends, burst their bubble by setting an all new high-score. 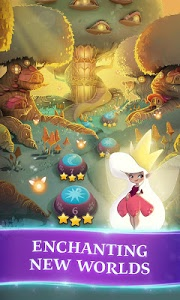 • Spellbinding game modes and cute characters! • Release the owls, free the ghosts and save the Fairy Queen from Wilbur! • Leader boards to watch your friends and competitors! 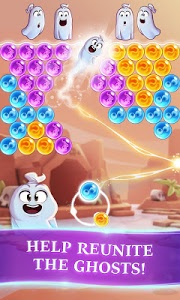 • A free & easy to play bubble shooter, challenging to master! 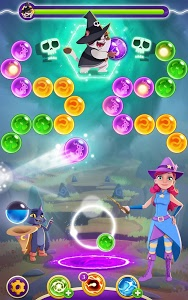 Bubble Witch 3 Saga is completely free to play but some optional in-game items will require payment. Start the bubble bursting experience today! 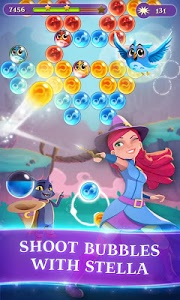 Have fun playing Bubble Witch 3 Saga! The STARLIGHT CONTEST has arrived! This magical new event challenges your star-collection skills against other witches. Will you finish top of your group? To collect stars, you're going to need fun levels to overcome, so we're also adding NEW EPISODES for you to enjoy. Witches assemble: shoot on, shoot strong! Similar to "Bubble Witch 3 Saga"